To start, make sure your hair is smooth and tangle-free. Using your curling iron, add soft waves to your hair and spray with texture spray for better hold. Then pull back the top third section of hair and begin adding a fishtail braid. For detailed instructions, check out this post. It may be helpful to do this with a mirror behind you and a hand-held mirror in front of you to check your work. Once your fishtail braid is complete, wrap the end in a clear elastic. 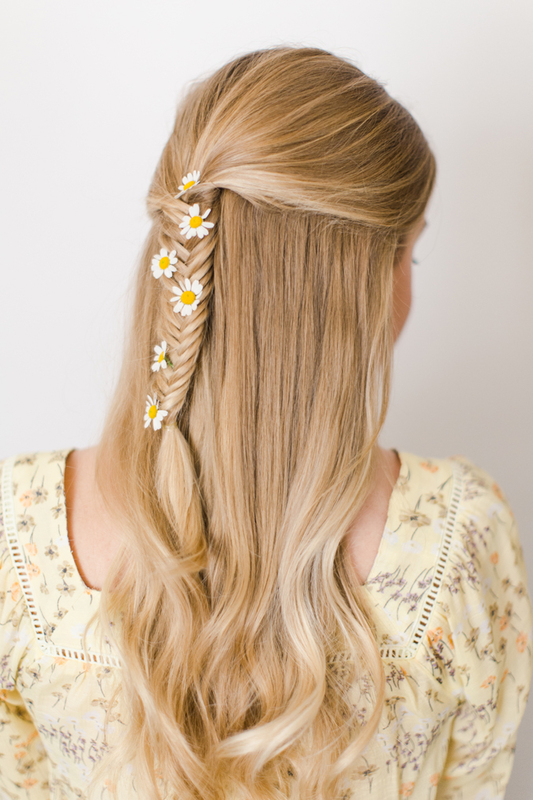 For this look, we used tiny chamomile flowers but feel free to substitute whatever flowers you choose. 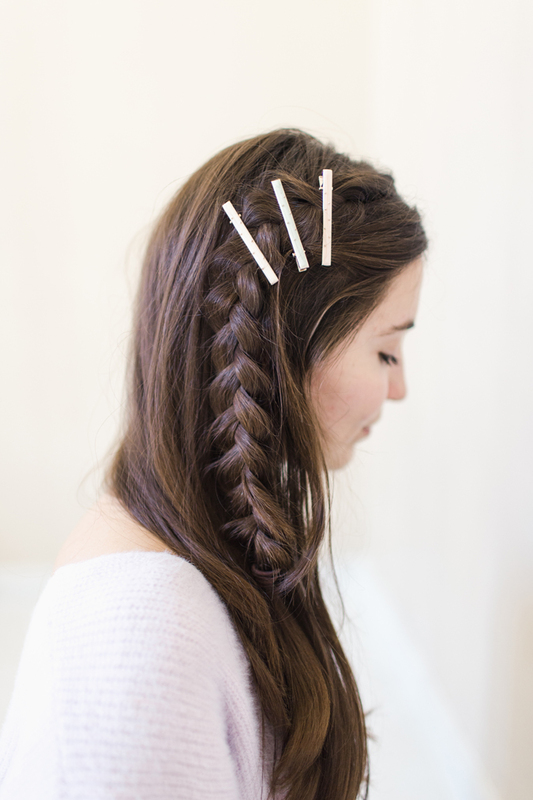 We recommend something small with a stem that you can weave into the braid itself. Begin by brushing through your hair and spraying on texture spray (we used this one). For this look, you can opt for several different braids, depending on your hair length and texture. We created a loose French braid, but this style works well for thicker hair, and a single braid in this style is ideal for curly or textured hair. Once your braid is complete, pull out a few shorter pieces to the frame the face and soften the look. 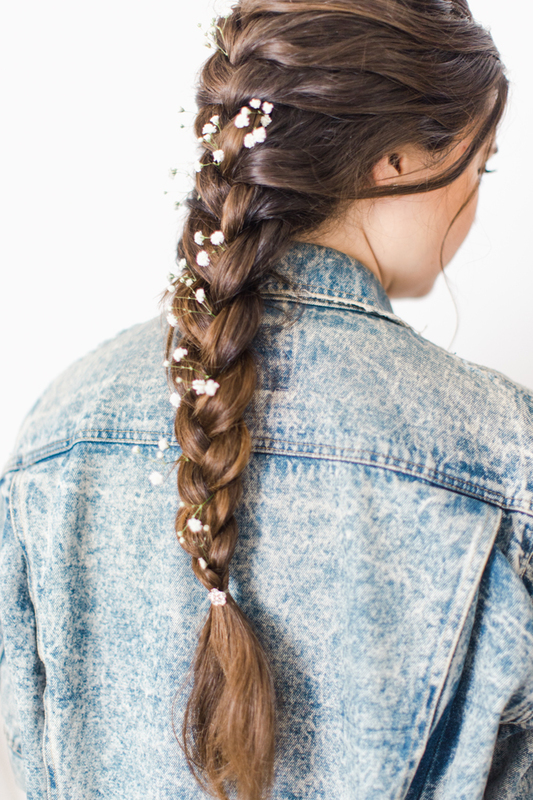 Then add in small sprays of baby’s breath along the length of the braid. 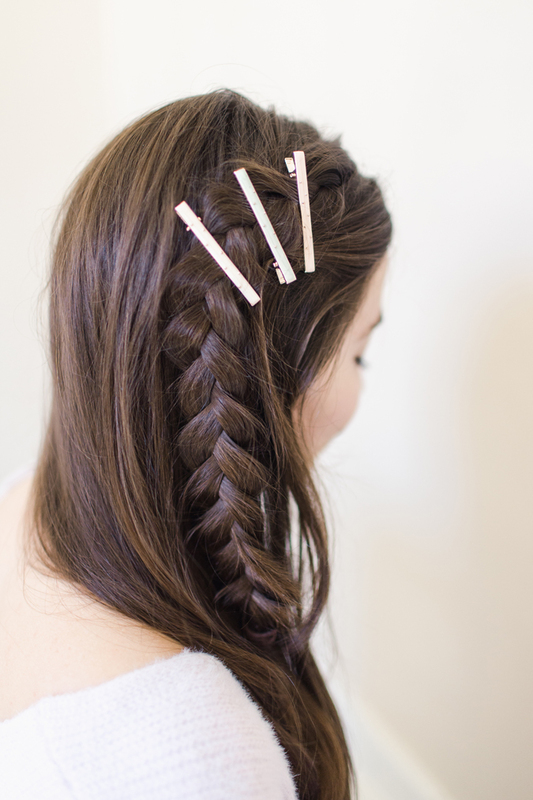 We finished off the look by hiding the elastic with a sparkly hair pin from LC Lauren Conrad. 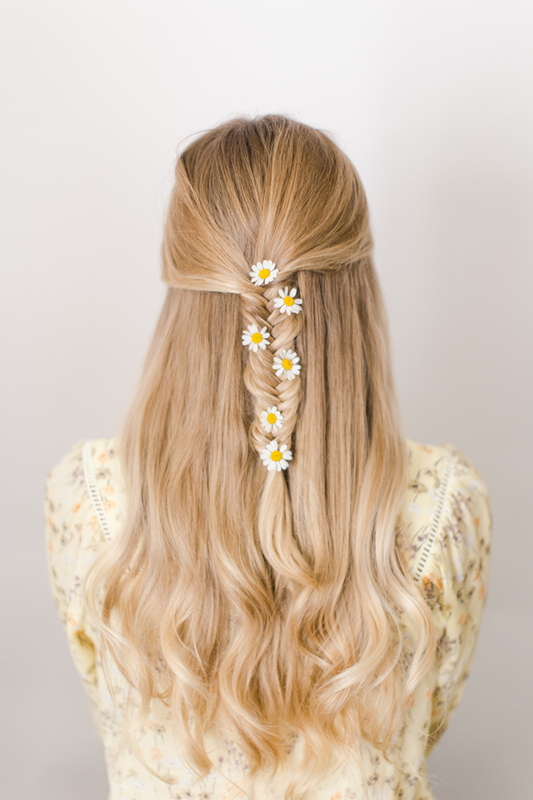 To create this romantic look, brush through hair and curl the ends with a curling iron. Separate two sections of hair, one on either side of the face. 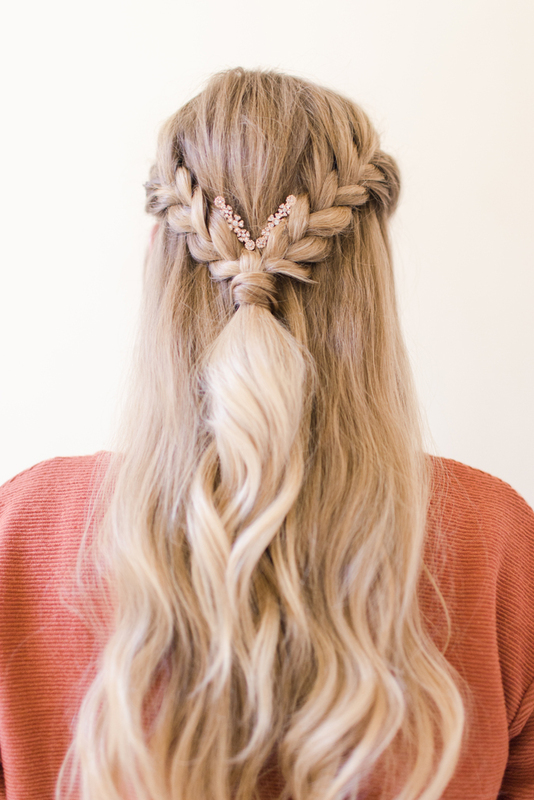 Create a thick braid on each side and connect them in the center of the head with a clear elastic. 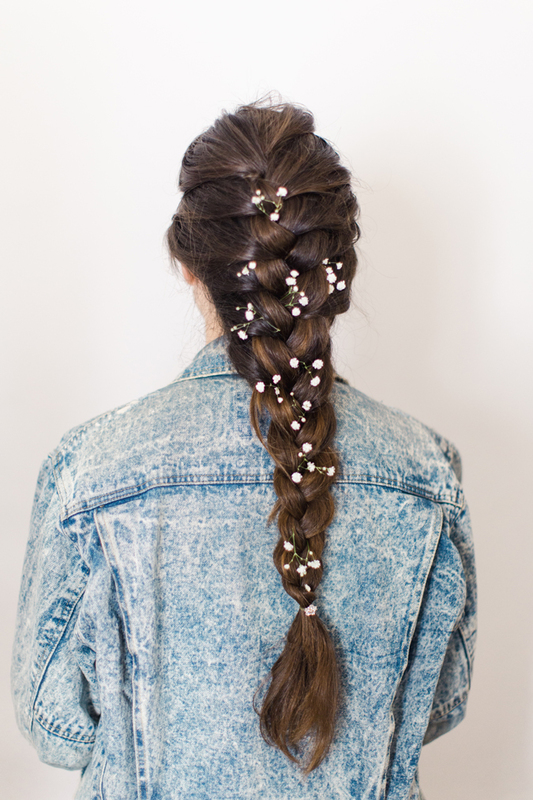 These braids are meant to be textured, so feel free to gently pull them apart for added volume. Next, take a small piece of hair from underneath the connected braids and wrap it around the elastic to hide it. You may want to touch up the curls on the ends of your hair again here if they have started to fall. At the ‘V’ where the two braids meet, push two hair pins (we used these ones from Lauren’s Kohl’s collection) into the braids for a subtle, sparkly touch. Finish with a quick spritz of hairspray to hold everything in place. 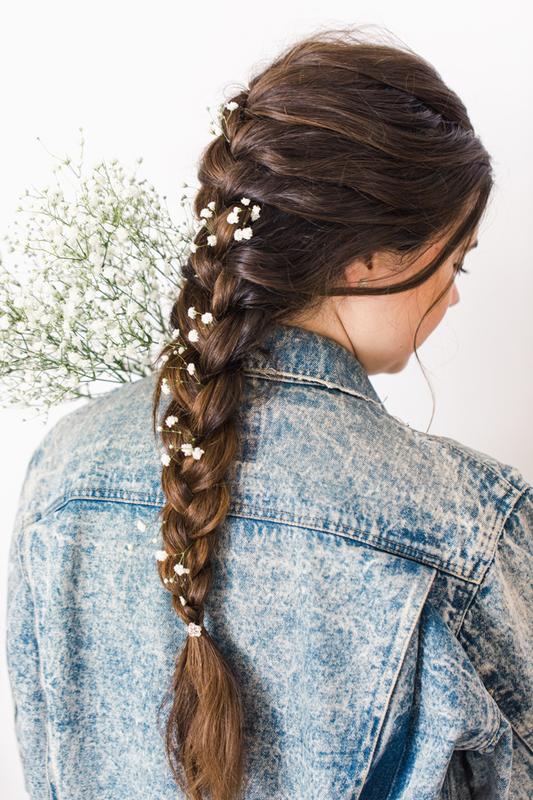 This style is based on a Dutch braid, but feel free to use whatever style you prefer. The key is to pick one that will provide enough volume and texture to show off the barrettes. 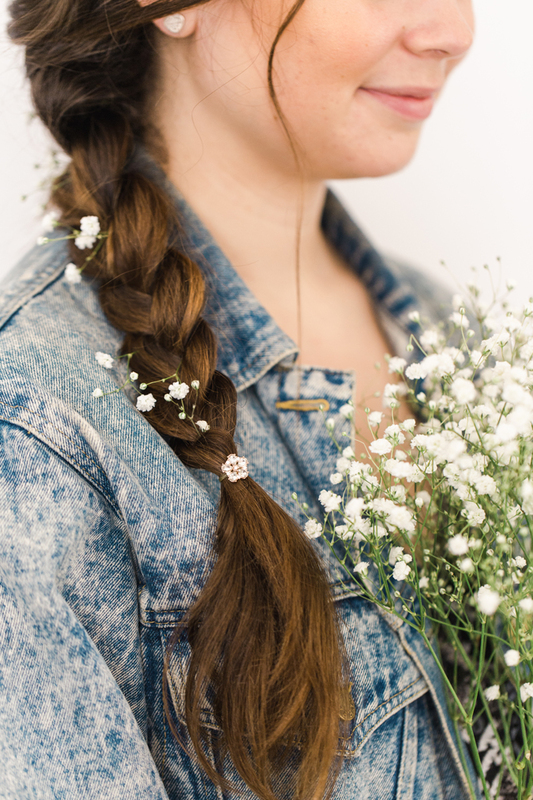 (This post provides some Dutch braid inspiration if you need it.) Once your hair has been brushed through and the braid is in place, spray on a light coat of hair spray or a texture spray to ensure that the clips will stay put. 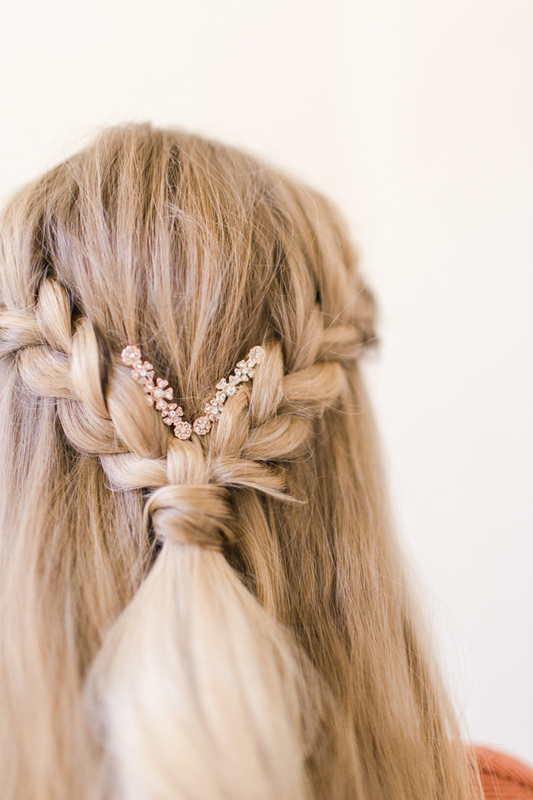 For this style we used three pastel clips from LC Lauren Conrad that show up well in dark hair, but if you’re blonde you may want to go the opposite route and try darker barrettes. And there you have it! Four easy embellished styles to take you all the way through spring. 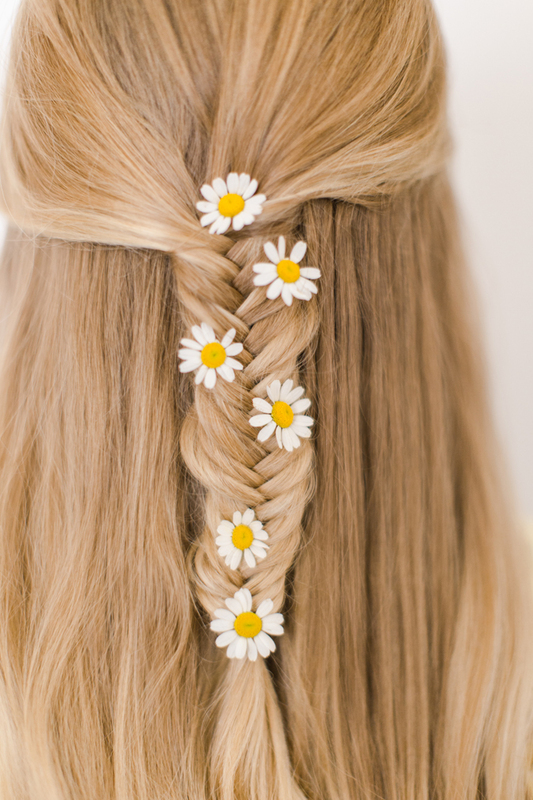 Which braid style do you want to try?